Its been a while since I was able to take part in Wildlife Wednesday. Our rural internet speed dipped to an all time low and then all but vanished for the Summer. Then at the end of August, BT installed their version of super fast broadband – ‘Infinity’, so far, so good and we are back in the 21st century. Meanwhile, my workload increased and life generally got in the way. Weather wise, there has been a roller coaster of temperatures and now as we head into September temperatures have dipped into an Autumnal coolness I am not quite ready for. Spiders are weaving webs laced with rain drops and it feels like it will not be long before we see webs outlined with frosty patterns. 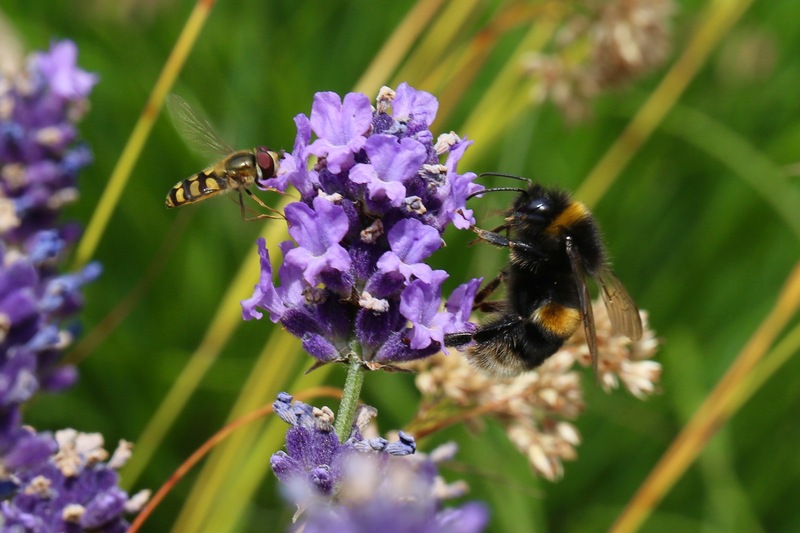 At the beginning of July, we took a weeks trip to windswept Lundy, an island off the south-west coast of England and came back to a hot dry garden alive with insects. 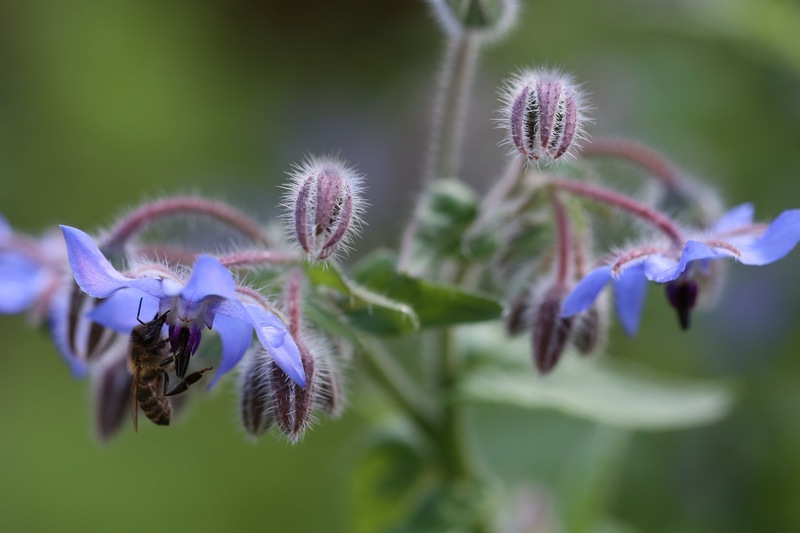 I had been reading Dave Goulson’s book – A Buzz in the Meadow – whilst we were away and returned with a new appreciation for the value of some of the less attractive pollinators namely flies and wasps. I have tried to photograph both but neither are as easy going as Bumbles, Honey and Solitary bees, except the Hoverfly group. Plus peering at Wasps is Hazardous. Pollinator Awareness Week during the middle of July had me looking even more closely than usual at our visiting insects. 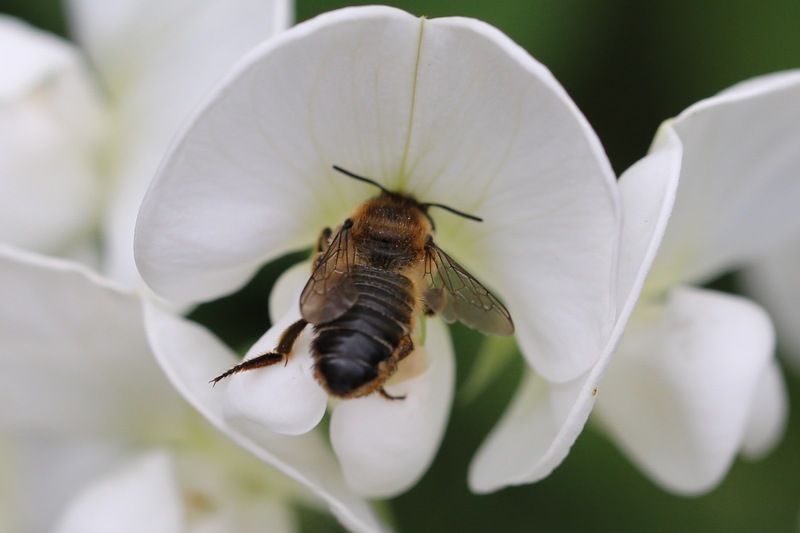 I grow white Perennial Sweet Peas, they have no scent I can detect and scramble about in an unruly manner. For the first time this year I noticed how Solitary bees, flip their bodies and push through to the nectar within. The Bee left a red footprint, I wondered had she visited a plant with red pollen before? On this years highly scented annual Sweet Peas (I’ve forgotten the cultivar the packet is in a safe place so safe I now can’t find it!) Hoverflies found it easier to push apart the petals. 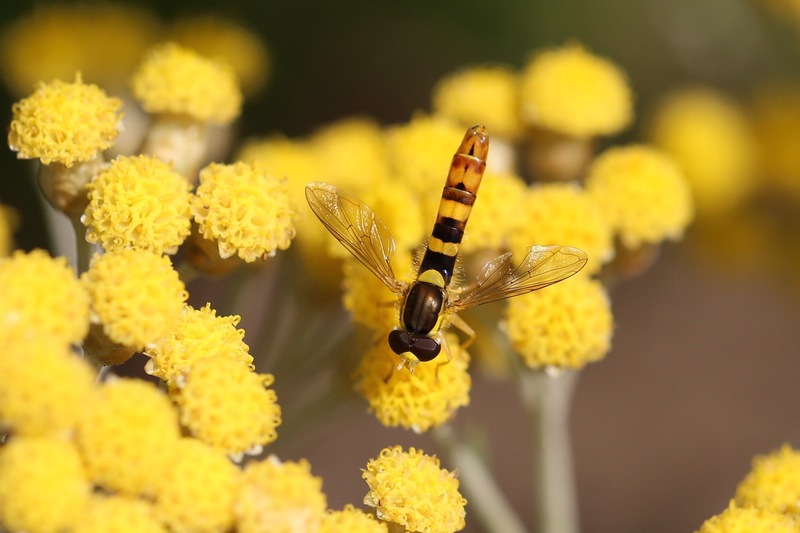 Some species of Hoverfly produce larvae that feed on Aphids and the adults feed mainly on nectar and pollen. 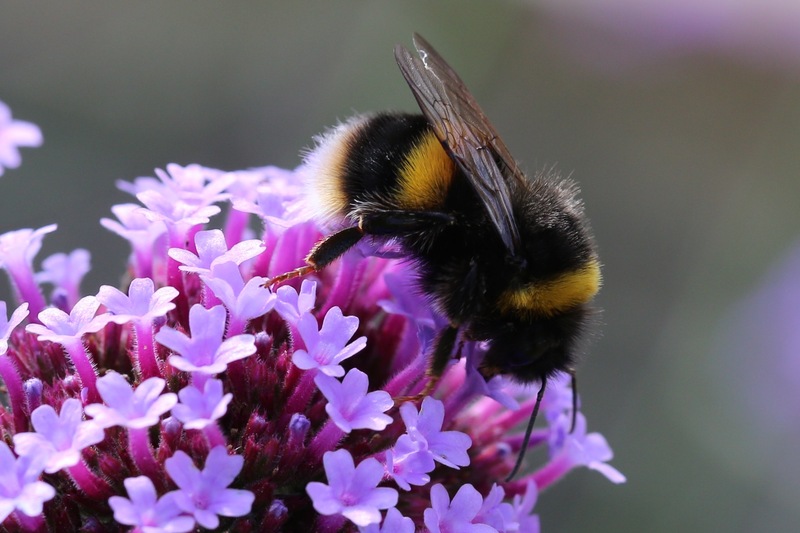 The Wildlife Trusts report that in the UK we have at least 1500 species of insects designed to pollinate plants, including Bumbles, Solitary and Honey Bees, Hoverflies, Wasps, Butterflies, Moths, Flies and Beetles. They are mostly pretty tricky to identify correctly, there is so much to learn and some are far easier to identify than others! 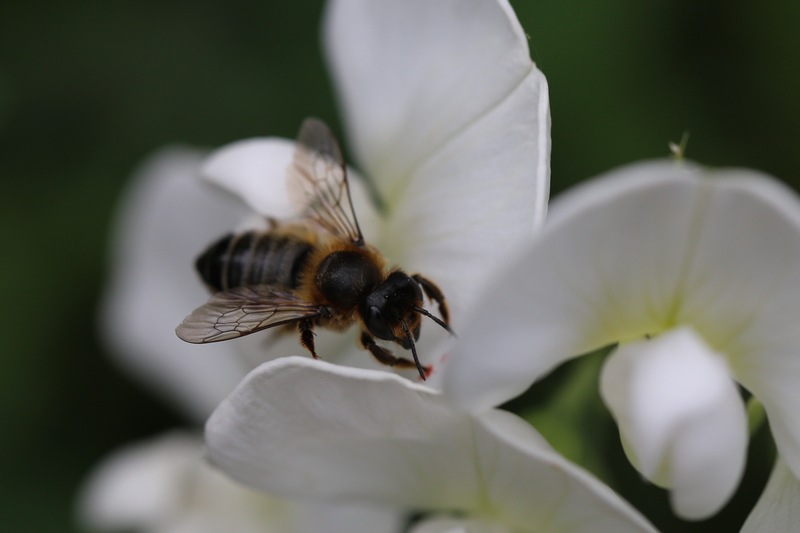 We see most insect pollinators here in the Summer months where I try to provide as wide a variety of flower types with nectar and pollen. And places to provide some shelter for them in my exposed garden. 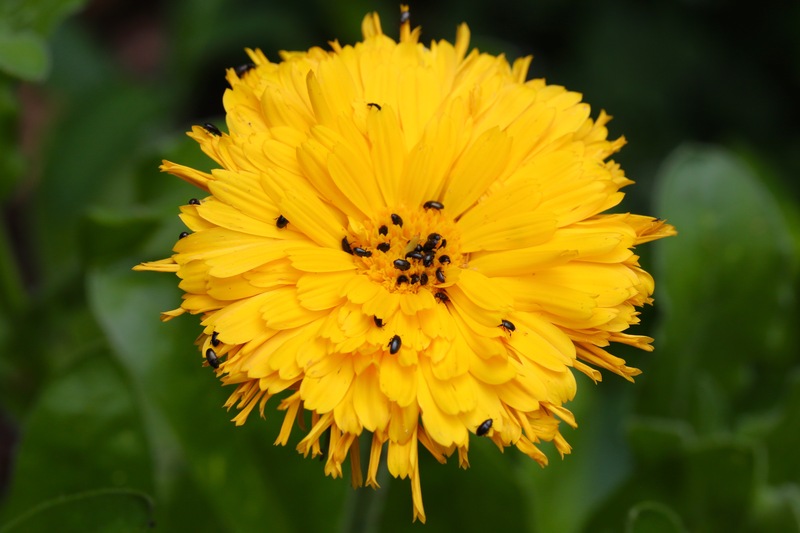 These Pollen beetles fall into the ‘others’ category for my post, In my veg garden they are most happy on the Calendula and as the name suggests they feed on Pollen. The charity Bug Life reports that in the UK we have 27,000 species of insect of which the Pollen beetles account for 36 species. When I cut any flowers to bring indoors, I have learnt to put them in water in dark place overnight, usually the garage, as a Kitchen full of Pollen beetles is not ideal. 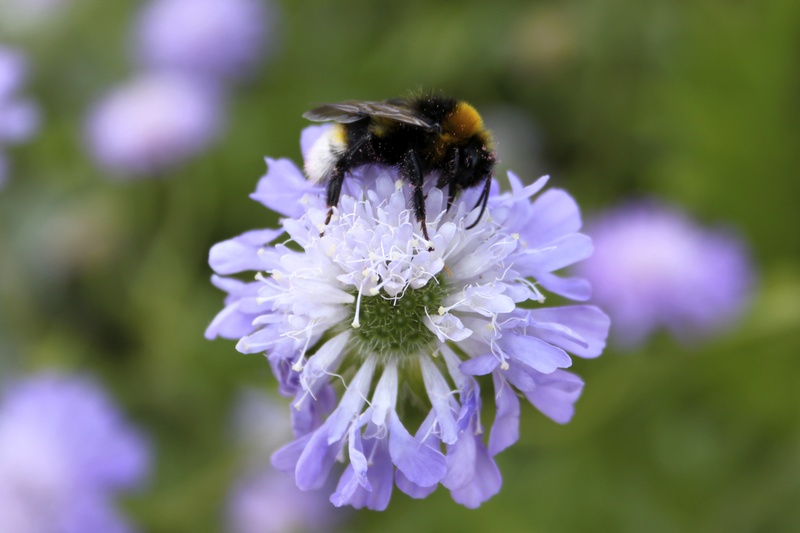 The RHS reports Pollen Beetles may assist with pollination. 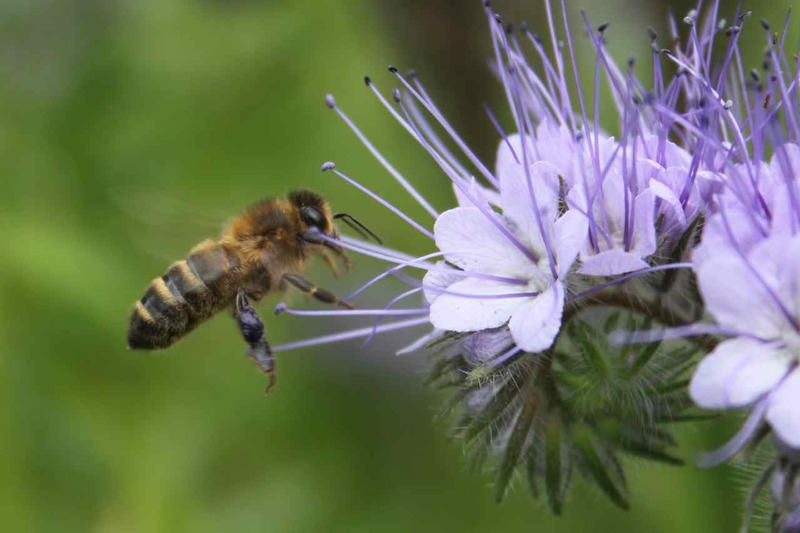 Frankly I would rather have more Bees and Hoverflies of which in Europe 38% are in decline and I know for sure they are pollinators. 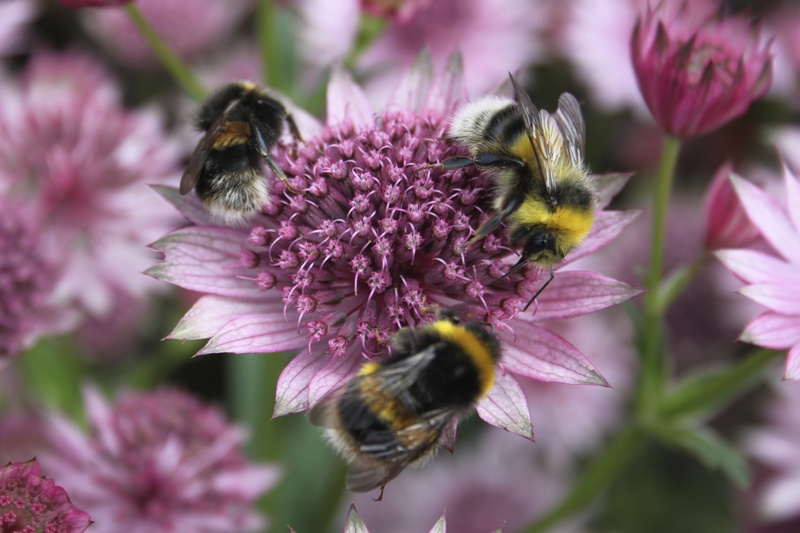 The RHS have just released a report “Plants for Bugs”. They set up trials at RHS Wisley to analyse the native versus non-native debate. 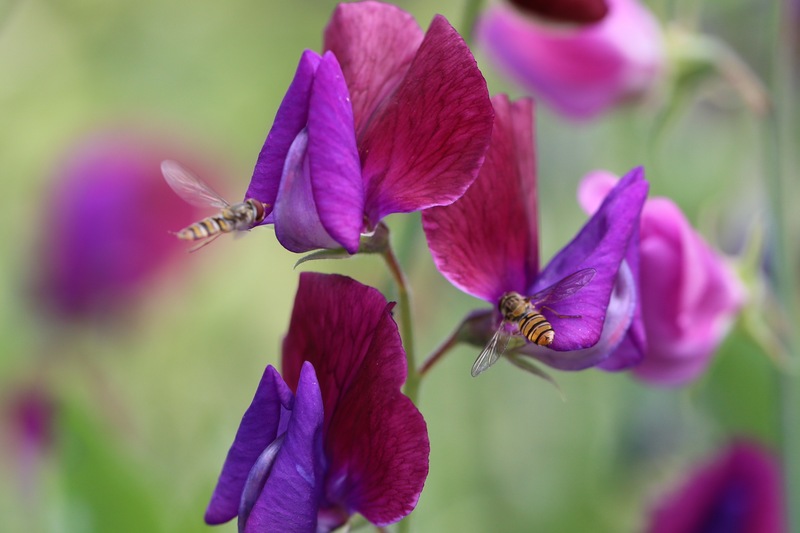 Is it only natives that will help our beleaguered Pollinators? Of course on our comparatively small island we have fewer natives than over in the USA. 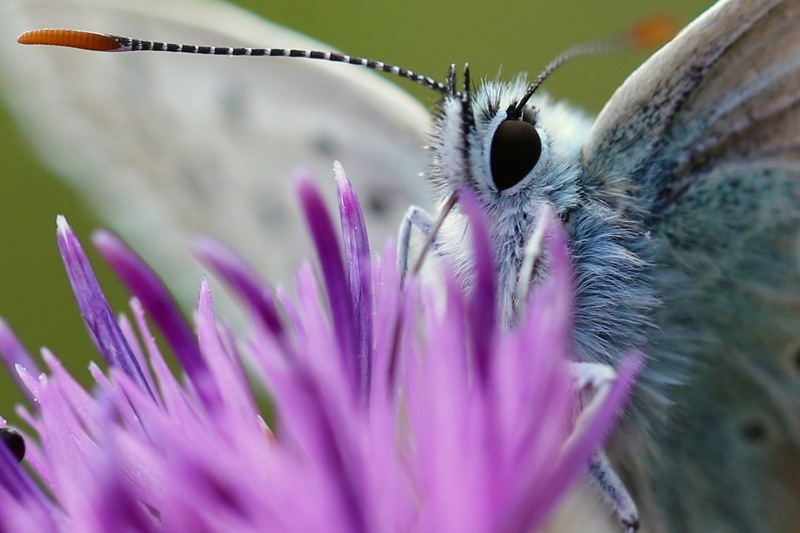 The RHS found that a greater range of flowers from across the Northern Hemisphere will help pollinators far more than if we stick to natives alone. 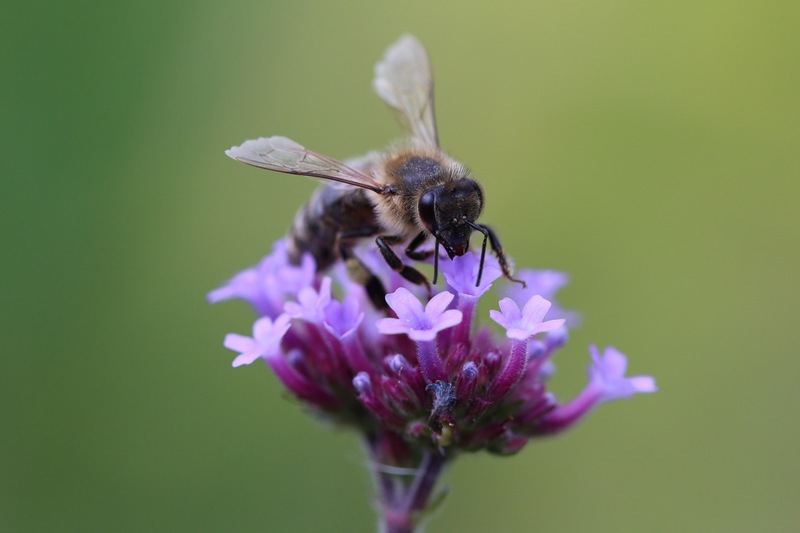 My top plant throughout August for pollinators was Verbena bonarensis, originating from South America, on my dry sandy soil it pops up rather obligingly everywhere. I don’t care if its a non native, I love it, so do my insect visitors. Please visit Tina our marvellous Wildlife Wednesday meme host and her wonderful site “My Gardener Says” for more Wildlife Wednesday Posts.